lil Mop Top: Dinosaur Birthday Party!!! 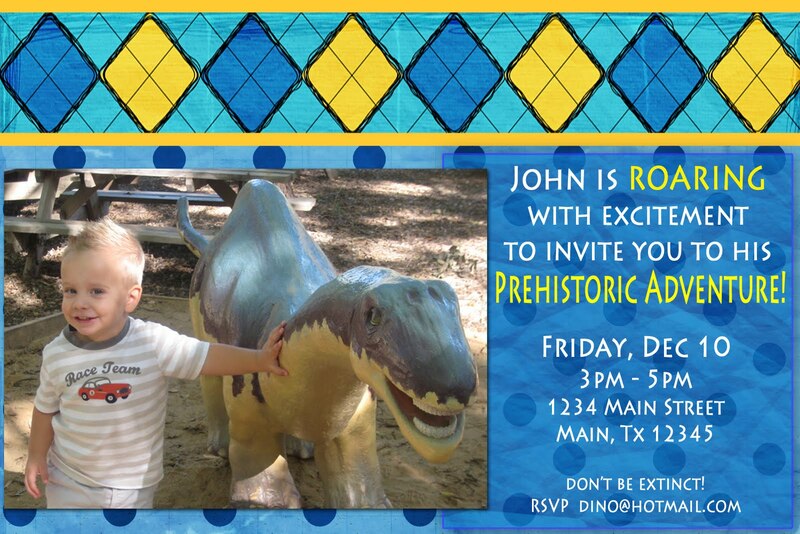 John had his dinosaur party last month and I am just now getting to posting about it. (I am totally blaming it on the holiday shenanigans...not that I have been lazy...) We had so much fun at his party! Against my better judgement, I caved and had two parties again this year. One was for John's playgroup and one for just the family. (Someone please hold me to just having one party next year!!) For the party for John's friends we had some stations set up in the backyard. We were SOOOO lucky that the weather was perfect- high 60's in the middle of December! Awesome!! I wanted something very relaxed so the kids could walk around the backyard and play as they wished rather than have games where everyone had to play at the same time. I think the kids had a blast! Each kid got an 'adventure bag' so they could take goodies from each station. They stopped at the Dino Dig, Dino Crafts, Dino Egg Hunt, and took rides on the pet Dino. Being that the party started at 3, the food was fun snacky stuff that consisted of yummy cupcakes (with toppers that I made on photoshop), dino shaped nuggets (Tyson brand...and they were yummy too!! ), chips, veggie straws, candy, juice, etc. I was going to make cute food labels but you don't really need labels when there are only 3 different foods on the table. haha! I decided not to go crazy with decorations and just focused on preparing each station. I felt like last year I was super consumed with the airplane party so I made it easy on myself this year and used last year's bunting...and that was all! Although it wasn't as fancy as some of the parties around the blogosphere, it worked for us. Now I just need to start thinking of a theme for Matthew's 1st birthday! I only have 7 months! ahhhhhhhh!!!! !